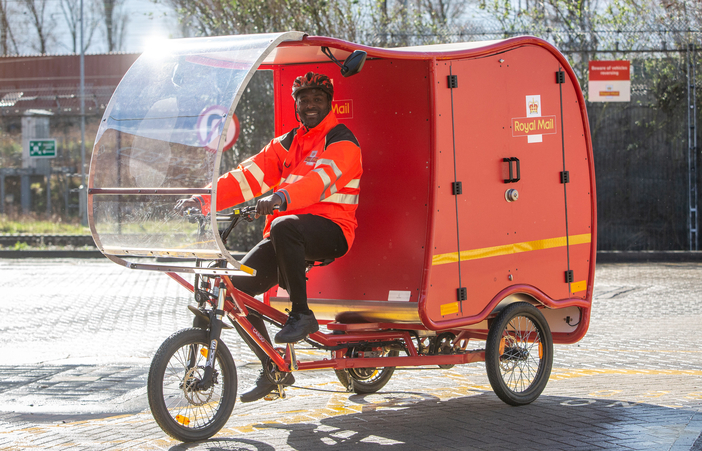 Royal Mail is conducting its first ever trial of zero-emission e-trikes for letter and parcel deliveries as part of the company’s efforts to continue to reduce CO₂ emissions associated with its operations. The 1,200mm (47in) wide x 1,968mm (77in) high e-trikes – which are predominantly powered by a combination of pedal, solar, battery and brake technology – are specially designed to help postal workers to deliver letters and parcels in a secure and environmentally friendly way. The trial is scheduled to begin in late March 2019 and will take place in Stratford (East London), Cambridge and Sutton Coldfield, and will last for approximately six months. Once the trial period has ended, Royal Mail will make a decision on whether to expand the trikes more widely across the UK. 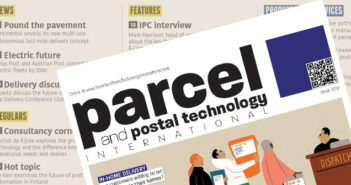 For larger parcels and deliveries at particularly busy periods, special delivery arrangements will be made. Pedals assisted by a 250W electric motor power the e-trikes, and the motor itself is operated by a 48V lithium battery, which is recharged by mains power and supplemented by two solar panels positioned on top of the vehicle. Regenerative braking also helps to power the trike. David Gold, director of public affairs and policy at Royal Mail, said, “As a company, we are committed to making changes to our operations which reduce our environmental impact, while ensuring we continue to meet customer expectations. 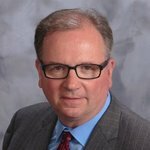 Dean Maciuba is a parcel industry expert and has previously served UPS and FedEx for 37 years across multiple professional positions in sales, marketing and operations. Today, Maciuba is the managing partner for North America at Last Mile Experts.